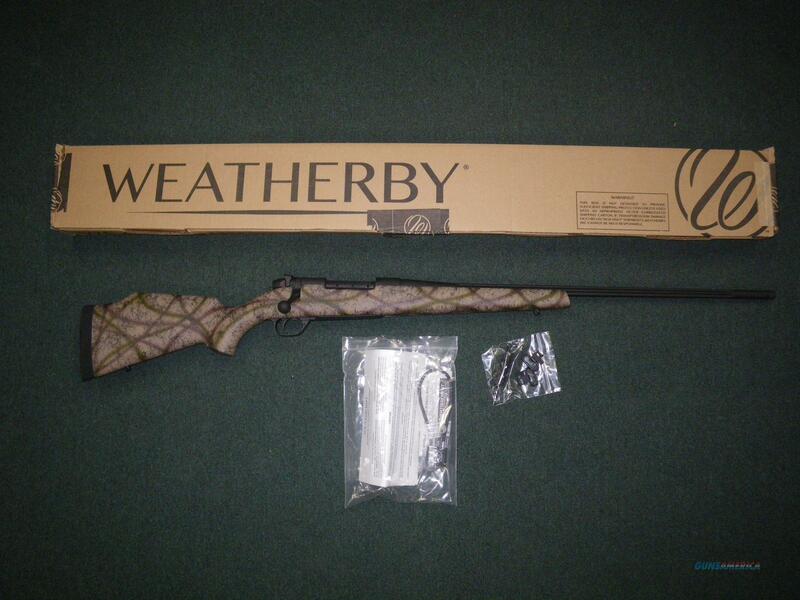 Description: You are bidding on a Weatherby Mark V Outfitter in 6.5-300 Weatherby Mag with a 28" Barrel. Wake me at 0-Dark:30 and don’t put me to bed until the sun goes down, because I am an all-day hunting machine. Sound a little bit like yourself? Then we’ll get along just fine. Weighing as little as 5-1/2 pounds, I’m a natural born runner-and-gunner that’s as tough as an elephant’s hide – thanks to an “Armor Black” Cerakote® finish on my steel and a carbon fiber stock in “High Desert” camo. Displayed images are stock photos. Any questions please feel free to ask (our phone number is in the additional information tab above).